This class offers tips and tastings of Stephanie’s favorite artisanal cheeses from all over the world. Students will have the opportunity to learn about and taste cheese from Eastern France to Spanish Basque Country to Northern California. We’ll discuss each region’s unique flavors over a glass of wine, tips & tricks on cheese selection and board arrangement with accoutrements. This is an engaging, no-pressure workshop for anyone interested in learning a new skill, honing their cheese prowess, picking up a fun hobby, or just trying something entertaining with friends. A resource guide so you can recreate a board at home! Space is limited. Registration in advance is required. You do not need to bring anything else to the workshop, just yourself! The registration cost is all-inclusive of materials needed for this experience! We hope you have a great time! Space is limited. Workshop registrations are NONREFUNDABLE, but they are transferable to another party. If this workshop becomes SOLD OUT, please fill out this form to be placed on the WAITING LIST. If you like cheese, wine, and entertaining, you will LOVE this workshop! Stephanie is extremely knowledgeable about different cheeses and what goes into creating a beautiful and delicious charcuterie board! At the workshop you get to learn about (and sample) different cheeses, crackers, jams, fruits ,nuts, honey and wine and how they all pair together. You get to meet local vendors and learn about where to find quality ingredients. You also get to take home the beautiful hand crafted wooden board and a map to be able to recreate her teachings. 10/10 would go again and recommend! This workshop was absolutely incredible!! We got to try six different types of unique cheeses that I had never experienced before and each of them were absolutely phenomenal. 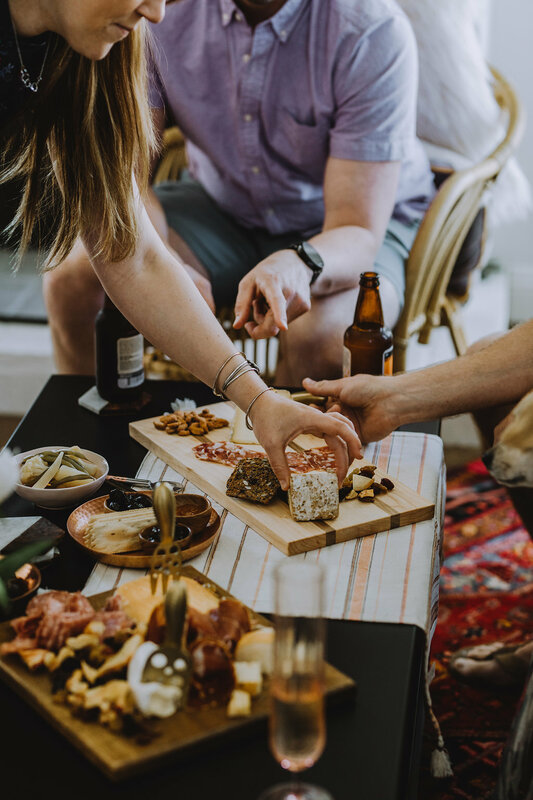 Stephanie put on such a fun event and since it was a “family style” set up, we got to meet a lot of fellow cheese lovers and learn more about how to properly construct a cheese board all while sipping on some wine. Stephanie brought in both a spicy jelly and a honey expert and each of these two ladies shared their wealth of knowledge regarding their products and how easy it is mix new tastes and textures together to fully bring together a board. This was such a fun experience for my friends and I, and I cannot wait to attend another one! Thank you Practical Provisions! The PW © COPYRIGHT 2017. ALL RIGHTS RESERVED.